Have you ever had to present to an audience, but didn’t know how to prepare your material, keep your composure, influence for an outcome or have posture as an amateur presenter? 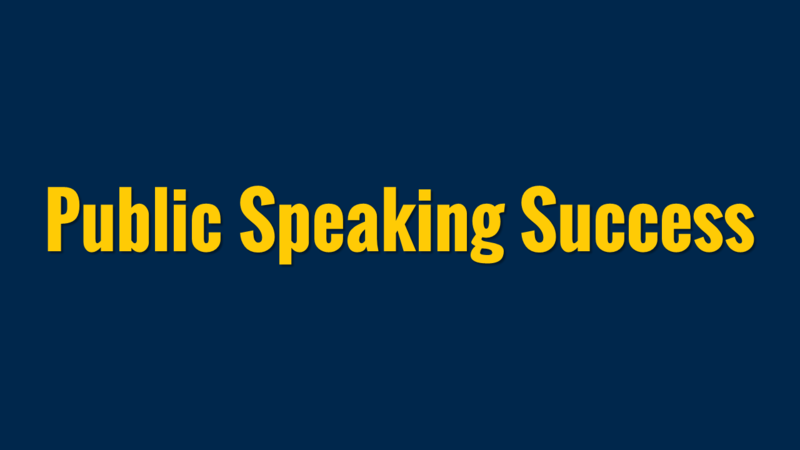 A public speaking course is both fun and fulfilling and in today’s noisy world it’s necessary. Now you can get personalized public speaking lessons to prepare you for a business presentation, keynote address, sales presentation, school event, or even a eulogy. And you can do it all with your own 1 on 1 personal speaking coach! Now you can learn how to get your desired results, feel confident, gain rapport with your audience and maybe even be a little funny! Room set-up, event check lists, IT issues, cables, accessories, lighting, etc. And the Most Important Thing….how to begin your talk! This is an ongoing program that includes TWO 1-HOUR Coaching Sessions per month. The minimum commitment is for one year. Included are all the same benefits and bonuses that are included in the Public Speaking Gold Package.